Just over a week ago, I was privileged to host an historic conference in Brisbane. 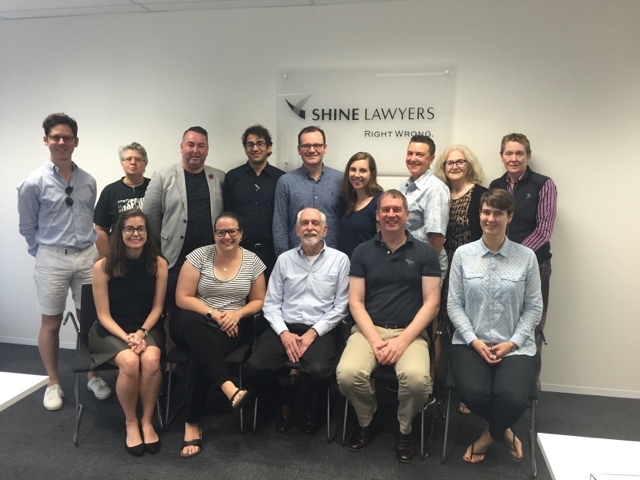 It was the first meeting of its kind in Australia- a meeting of family lawyers who act for and advocate for LGBT clients. It was also the first meeting outside the US and the UK of the LGBT Family Law Institute- a joint venture of the US National LGBT Bar Association, and the US National Center for Lesbian Rights. The NCLR has been a prime litigator in many of that country's equal rights fights in recent years, including the Supreme Court decision that allowed equal marriage throughout the United States. Just under a year ago I was privileged to attend the first meeting of the LGBT Family Law Institute outside the US, which was in London. That meeting has led to the formation of a group of family lawyers in the UK who work for and advocate for LGBT clients. When I attended that meeting, with lawyers from the UK and several US lawyers, director William S Singer from New Jersey said it was wonderful the meeting was being held, and hopefully it heralded more. I then had a sinking feeling- as I knew what was going to happen next. Indeed it did. The following day, at the end of the meeting, William said to me: "Well, Stephen, how would you like to hold one of these in Australia?" And so, after 10 months planning and work by William, my PA Laurel Prasad, and the sponsors Shine Lawyers, the meeting was held. 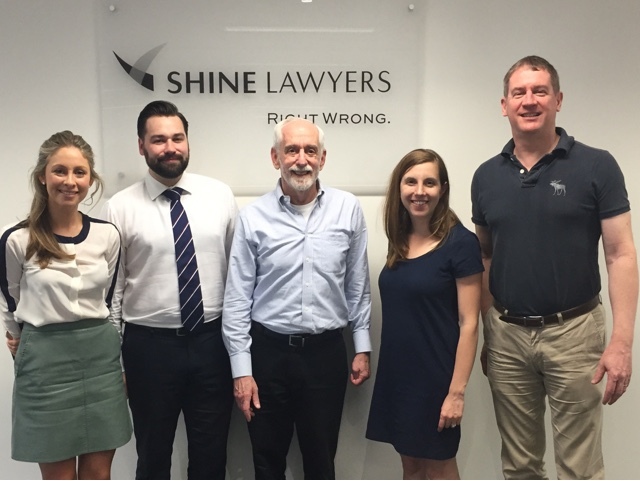 Eloise Scanlan and Mitchell Hauser from Shine Lawyers were a great help. We were very grateful to have the sponsorship, which enabled a meeting venue to be provided and for attendees to have their basid needs, including food, met. Topics discussed included: children's matters, marriage (of course), divorce, child support, domestic violence, adoption, and all topics family law, with an LGBT twist. Those attending included William S Singer, and Emily Haan from the NCLR. There was great energy in the room, and a commitment to move forward and to do the saem again next year, this time Melbourne. Hopefully it will be bigger than this year's but just as engaging! Thank you to everyone who took part, and to all who helped set it up. without each and everyone of you, the meeting would not have been a success. And of course a big thank you to William S Singer. Bill- I know you were going to tap me on the shoulder, but it was an honour and a privilege to have organised this meeting.